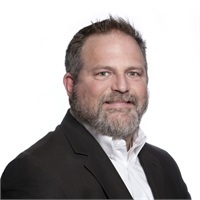 Scotty Neal | Collier Wealth Management, Inc.
Scotty Neal started in the financial services business in 1995 at Prudential Securities in Nashville. After five years, he met Ray Bowles and went to work for him, a move that Scotty says, “…forever changed my life.” In 2005, Scotty bought Mr. Bowles’ book of business and remained in their Gallatin location until 2010. At that time, he moved the business to Hendersonville. At the end of 2014, Scott saw a great opportunity to join the Collier Wealth Management team and as of January 2015, he became a team member. Scotty and Leslie Neal met in Chattanooga on a blind date and the rest is history. They now have three children – Justin, CheyAnn, and Joshua. Scotty and Leslie strive to serve the Lord and have raised their children to follow those same core values. After years of playing on the church softball team, Scotty finally hung up his cleats. Now he spends his spare time barbecuing. He loves everything about it, from the process to the history. He cooks for everything from sporting events to church fundraisers.